STORY WITH A VERY HAPPY ENDING! 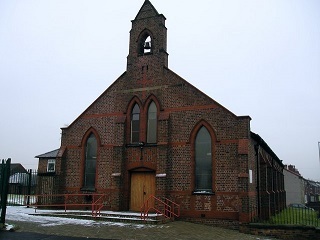 The parish of St Vincent de Paul in St. Helens is very seldom in the news – and certainly not the national news. However the week before Christmas all that changed when following an armed robbery, £80 (the only money in the safe) was stolen. This was money from our on-going parish charity for our mission in Zimbabwe. The money was intended for the children, many of them orphans, in the school in Manningdale. Fortunately, no-one was harmed and two men were arrested the following day. There was widespread shock and outrage; money poured in, not just across St Helens, but from other parts of England and well beyond. Donations came from highly unexpected sources: the local pub, for example, had a whip round at Christmas and raised £500. There is now a total of £9000 and there will quite possibly be more. 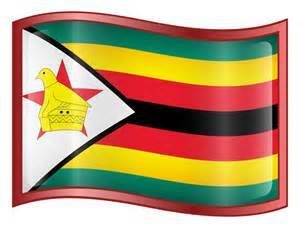 If we include the Zimbabwe school money we already have, there will be approximately £10.500. The immediate concern then was to inform Sisters in Zimbabwe and find out how funds could best be deployed. As there had been such interest (and generosity) Peter wanted both to thank the donors and give them further news. Sister Therese Hawes who has spent many years in Zimbabwe contacted Sister Meltah from whom we had very encouraging news. There is a pressing need for a small primary school outside Manningdale near where the Sisters are. This school is very overcrowded with small unaccompanied children walking very long distances. The Church has long been trying to source land to build a school for these children, and in 2016 permission was granted. Meltah says this is a dream come true. Not only will there be a school for the children, but in the process, parents will also be involved. She will send further information as she has it. This has all been a wonderful gesture of goodness and generosity, by people of all denominations - and none. In these days when there isn’t much good news, this is a real sign of hope.